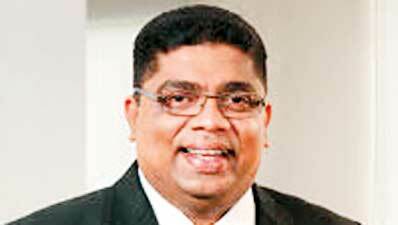 Krishantha Cooray has finally assumed duties as the new Chairman of Hotel Developers (Lanka) Plc, the owning company of Hilton Colombo. Cooray is a private sector executive counting years of experience in the corporate sector and an academic background in Political Science and Law. He also serves on the Board of DFCC Bank. His appointment to Hilton Colombo’s owning company was announced late last year but subsequent events forced a delay in him assuming duties. Apart from Cooray, several others have been appointed to the Hotel Developers new Board along with a few re-appointments from the previous Board, which was constituted by Finance Minister Ravi Karunanayake when Hotel Developers came under Finance Ministry during the interim Government’s cabinet. With Hotel Developers brought under Ministry of Public Enterprise Development, Minister Kabir Hashim and the Prime Minister late last year requested the Hilton Directors to resign to make way for the appointment of a new Board. Some complied but few others including Chairperson Sagarika Delgoda did not but requested to stay until 31 March 2016. This request was granted and accordingly all remaining Board members including Delgoda resigned by last week except for Dheeshana S. Ameresekere. The new Board of Hotel Developers comprises of Krishantha Cooray (Chairman), new appointees Shezmin Mansoor, Dhanuka Samarasinghe, Dinouk Colombage, Tehani Mathews, Sonalie Liyanamana, and re-appointees Athula Senanayake, Padma Maharaja and Priyantha Jayamaha (Treasury Representative) and Dheeshana S. Ameresekere. Cooray after completing his schooling at St. Thomas’ College Mount Lavinia, read for a Bachelor of Arts (Honours) in Political Science and Law at the University of Middlesex. In the corporate sector, he held several executive positions in leading, innovative private sector companies, including the Ceylinco Group, Richard Peiris Group and the Maharaja Organization. He joined the Richard Peiris Group as the Head of Business Development and went on to found the first completely independent publishing house owned by a public-quoted company. He was instrumental in setting up Rivira Media Corporation Ltd. under the Richard Peiris Group and served there as founding director and Chief Executive Officer. The two flagship newspapers launched under his direction, Rivira and The Nation, continue to be widely read national newspapers in Sri Lanka. During his stint at the Maharaja Group, Krishantha worked as a Consultant, supervising, stream-lining and ensuring executive coordination of news broadcasts by the TV and Radio stations belonging to the company. His long standing association with the media includes the contribution of articles to several national newspapers.